As she does every year, our Roman friend Agnese celebrated her name-day (tanti auguri!) 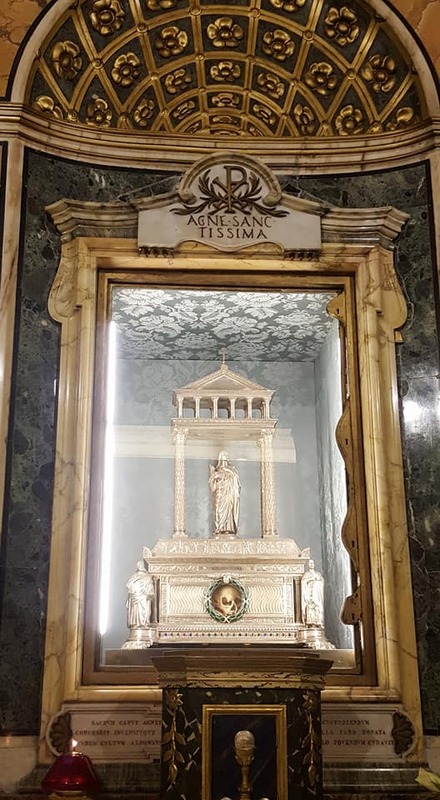 with a visit to the church of Saint Agnes Outside-the-Walls, the original site of the martyr’s burial. 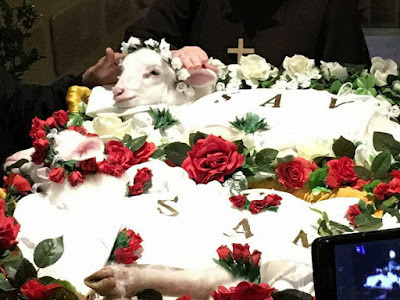 Each year at the principal Mass of the feast held in this church, the Abbot of the Canons Regular of the Most Holy Savior of the Lateran blesses two lambs; their wool is later shorn to make the pallia worn by archbishops. Here is her photo of the lambs prepared for the blessing. 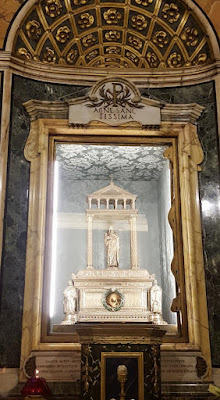 At the church of St Agnes “in Agone”, the site of her martyrdom in the modern Piazza Navona, the relic of her skull is prominently displayed in a special chapel.